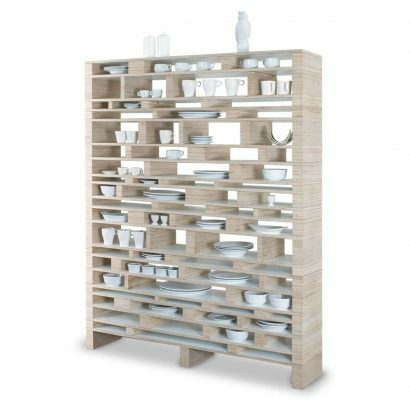 The Tangled cabinet was designed by Carolina Wilcke in 2015. 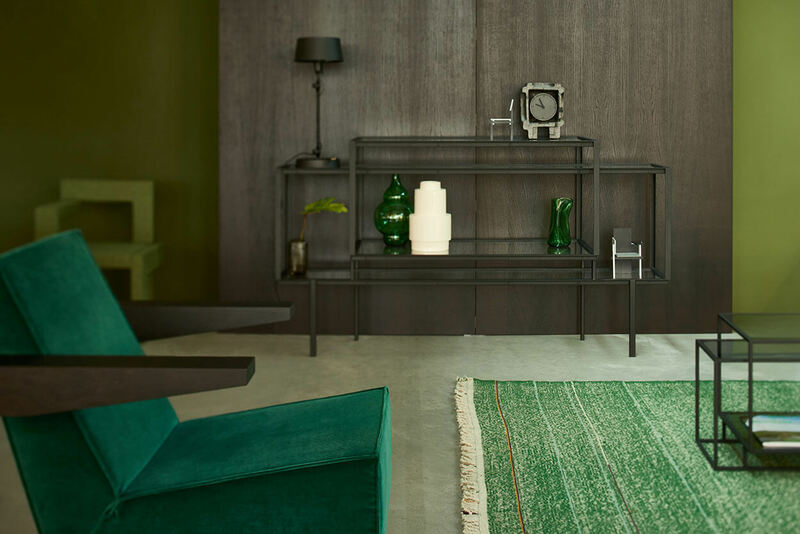 Carolina drew inspiration for this sideboard from the steel window frames that were often used in industrial buildings in the past. By experimenting with steel profiles and constructions, two interlocking volumes were created that together form a whole. Carolina was trained not only as a designer, but also as a goldsmith, and that shows in the refined details and graphic lines of her designs. 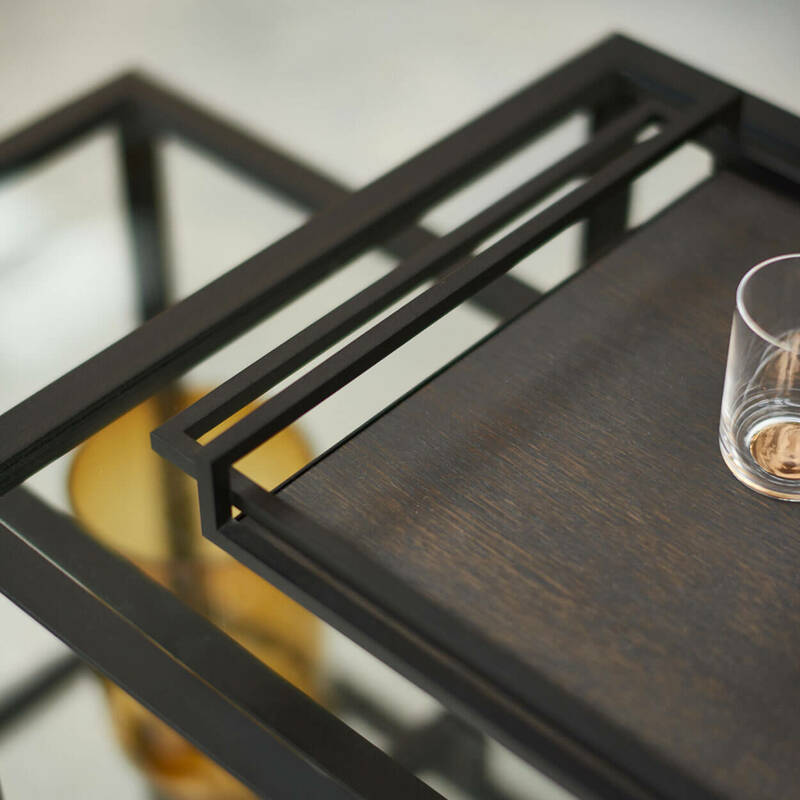 The Tangled series she designed for Spectrum consists of this cabinet, a coffee table, a show case and a side table. 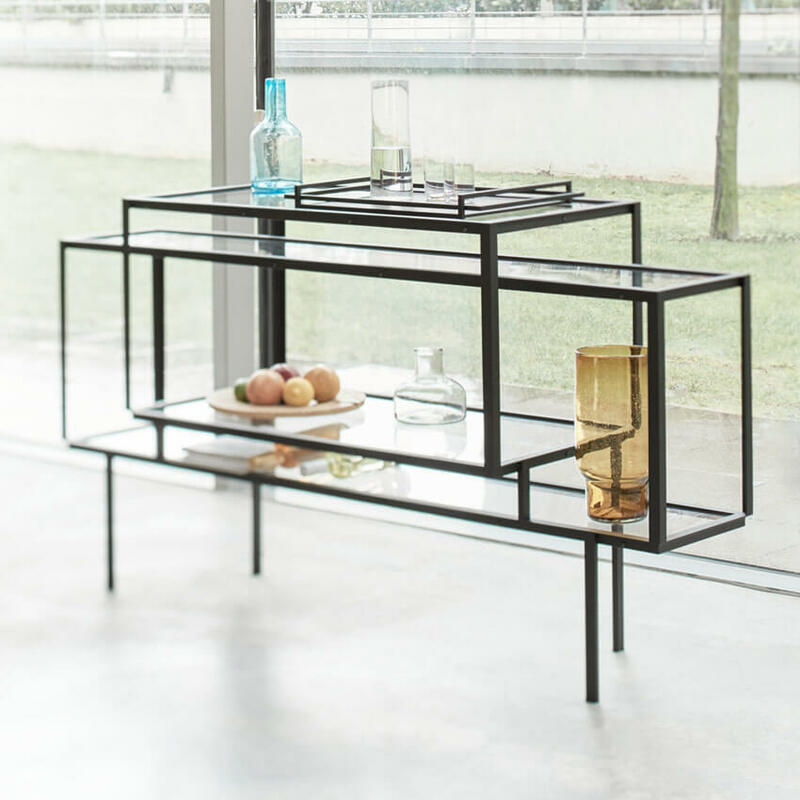 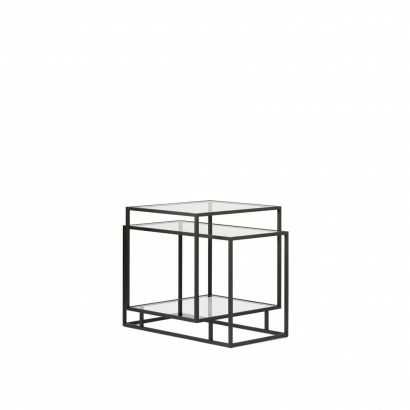 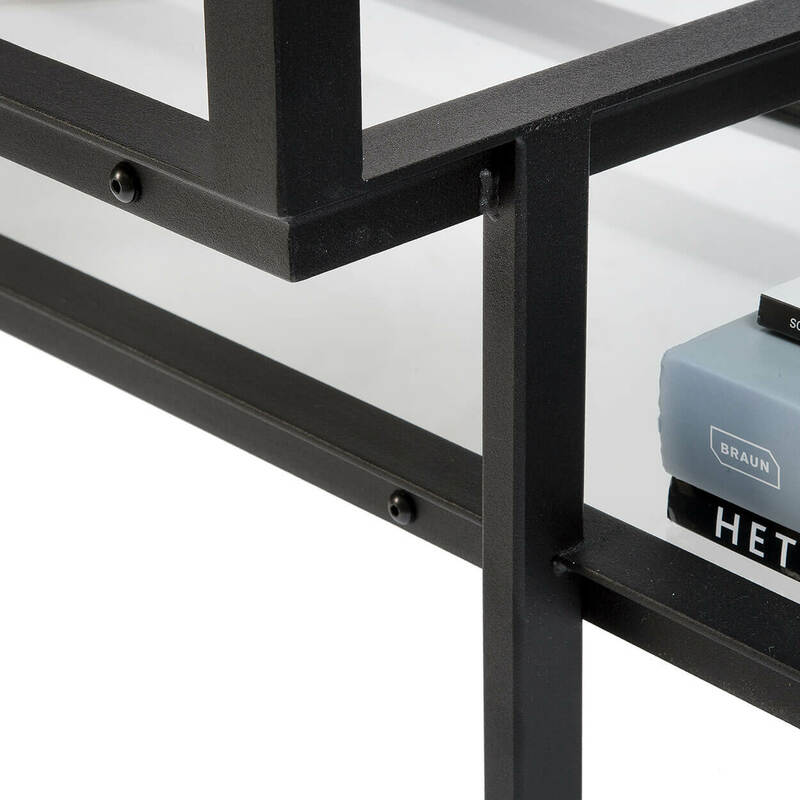 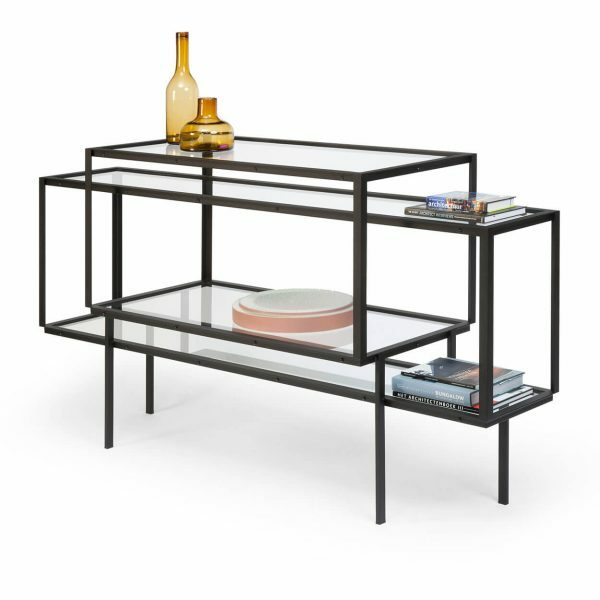 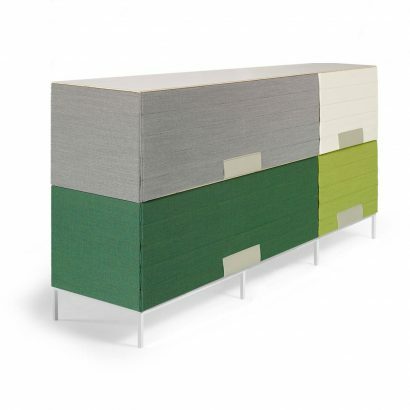 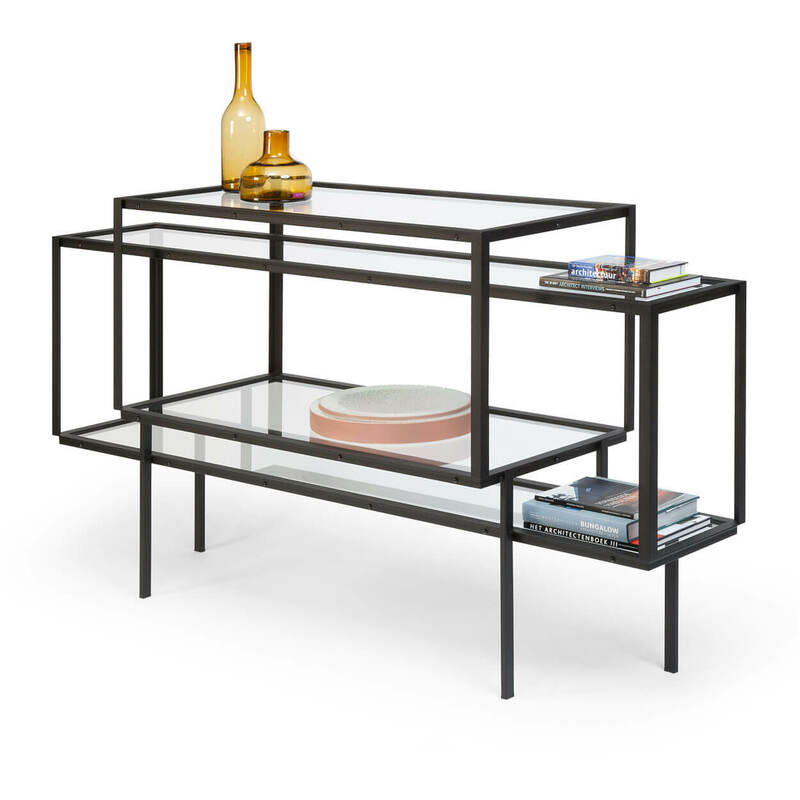 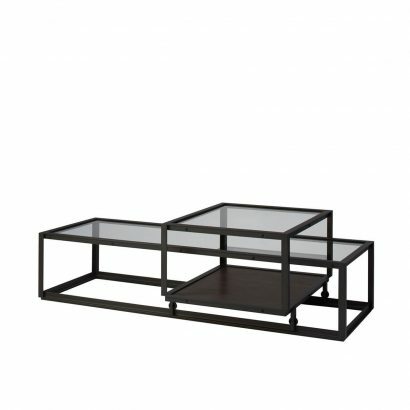 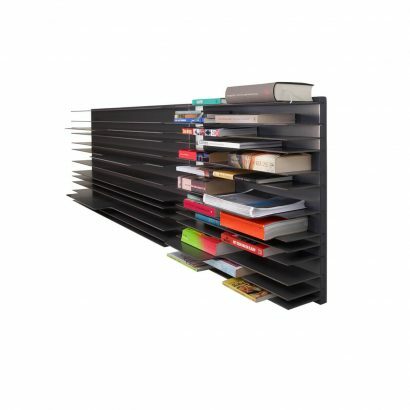 The slim frame of the Tangled sideboard consists of two volumes of matt black epoxy steel profiles (RAL 9005). 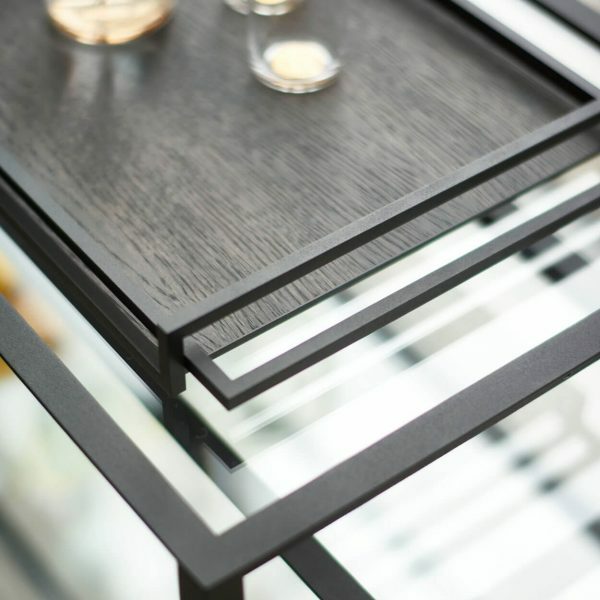 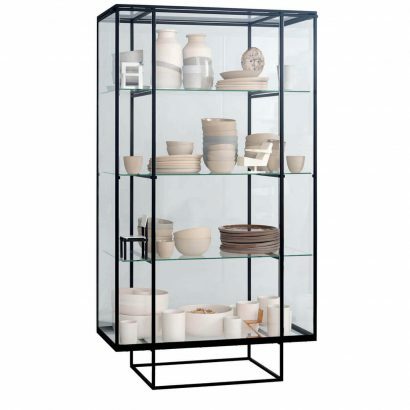 In the frame there are four levels of glass tops, you can choose between clear glass and smoked glass. 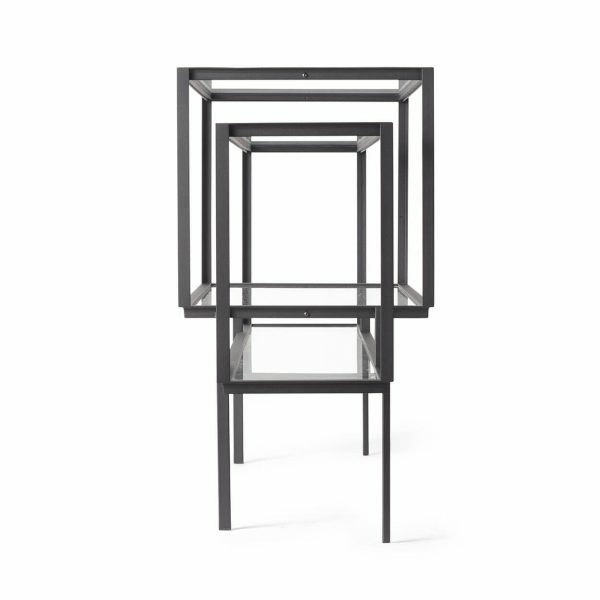 With its slender shape and industrial look, the Tangled cabinet is a real eye-catcher in the room, without being too predominantly present. 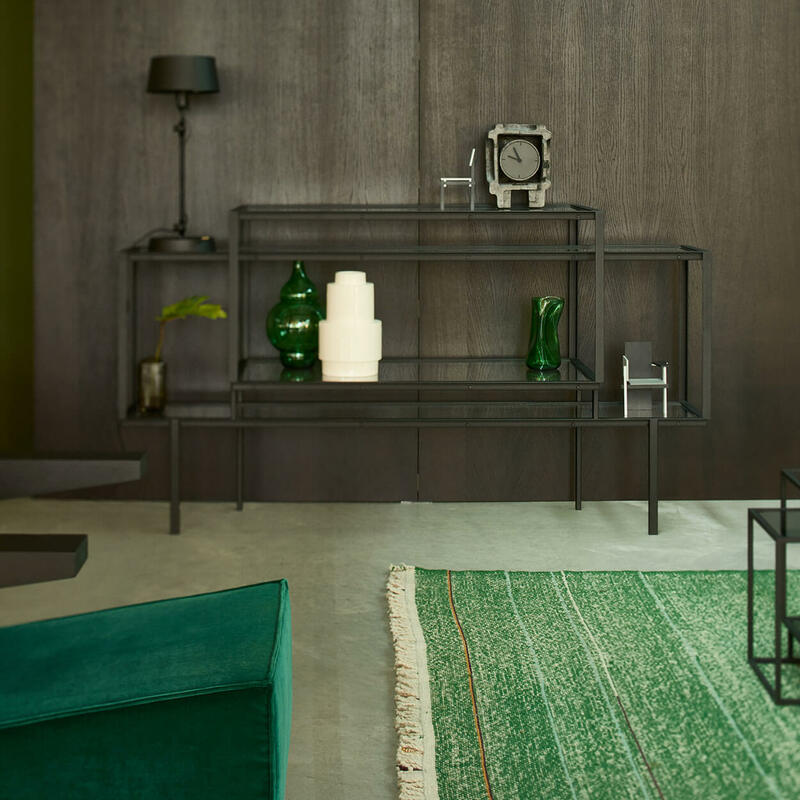 The sideboard also comes with a Tangled tray that fits perfectly on top of the cabinet in terms of design and dimensions. The tray has, just like the cabinet, a black epoxy frame. 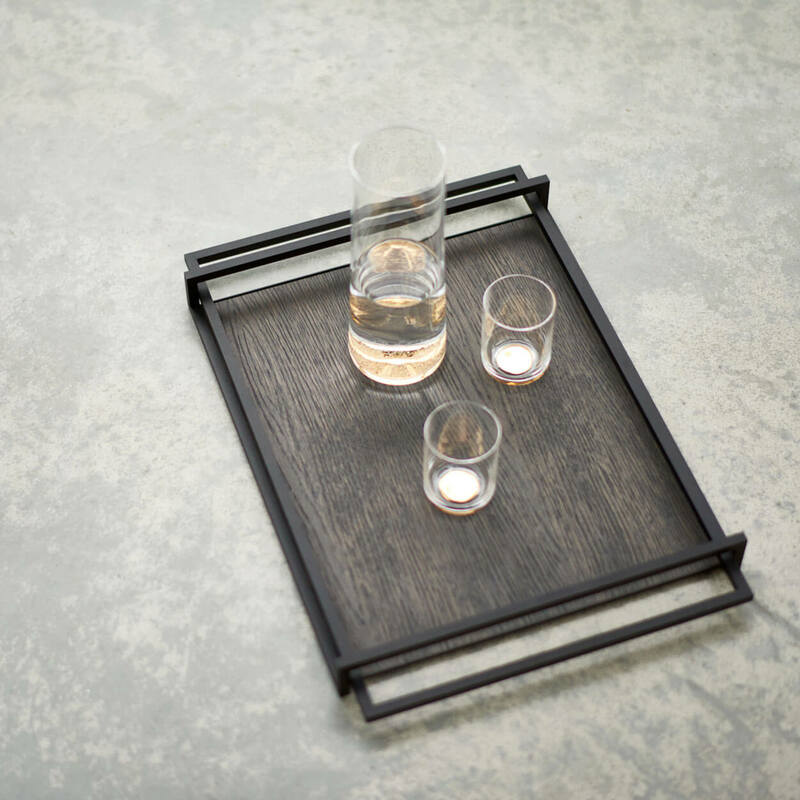 The tray can be inlaid with a smoked oak veneer.